Aventurine is a form of translucent microcrystalline quartz often featuring miniscule shiny fuchsite, mica or hematite specks and inclusions which sometimes produce a sparkly effect called aventurescence. Most commonly, it is green and is often mistaken for jade; however, it can also be orange, brown, grey, blue or yellow. 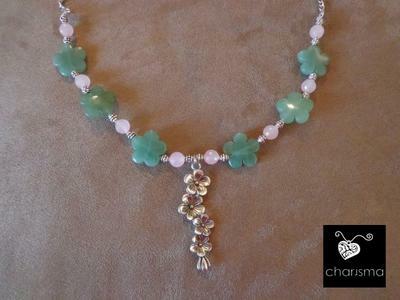 The name aventurine comes from the Italian phrase “a ventura” which means “by chance”. Sometime in the 18th Century, Venetian glassworkers in Italy accidentally dropped copper flakes into a batch of molten glass. They found the sparkly effect pleasing and began using this purposely to fashion vases, jewelry, and other glass objects. Eventually, the name aventurine was given to the natural stone as well. Most aventurine is found in India, but it is also mined in Chile, Spain and Russia. According to scientists, aventurine was used by some of the earliest known ancestors of man, as far as two and a half million years ago, to fashion tools. For those who believe stones have healing properties, green aventurine is known as the “Stone of Opportunity”. Some believe aventurine helps a person let go of old habits, past pain and disappointments, and embrace change and new beginnings by helping the wearer see alternatives and possibilities. It helps the wearer patiently endure hardship, encourages perseverance, promotes compassion and empathy, stabilizes and calms the mind, and stimulates leadership and creativity. Green aventurine is known to heal and comfort and is used as a love crystal for those looking for love in the later years of their life. 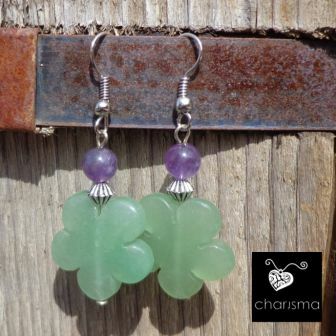 The aventurine stones used in Charisma Bolivia jewelry is imported from neighboring countries, but primarily Brazil.